Do you want the weatherproof cradle camera and display? Would you like a custom color for the unit? NoYes - Please provide color in comments section below. What is your 3 phase input voltage for the battery charger? 208V / 3 PH / 60 HZ - EC-3106-208-60 - 15.6 Amps240V / 3 PH / 60 HZ - EC-3106-240-60 - 13.5 Amps480V / 3 PH / 60 HZ - EC-3106-480-60 - 7.3 Amps220V / 3 PH / 50 HZ - EC-3106-220-50380V / 3 PH / 50 HZ - EC-3106-380-50415V / 3 PH / 50 HZ - EC-3106-415-50440V / 3 PH / 50 HZ - EC-3106-440-50Not sure at this time. Do you have any trade-ins to go toward a new tug? NoYes - Please include details of trade-in in comments below. Crucial for Stacking Hangars and Towing Aircraft into Tight Areas. Here to Help Build, Deliver, and Support Your New Tug! The new Eagle eJP-10 has the capability to move general aviation aircraft up to large business class aircraft. The dual motors and regenerative braking give you the best turning radius available for electric tugs. With the new digital display, you will now have more information and diagnostics right at your fingertips. The eJP-10 is the first co-development and most advanced release of an electric tug between Eagle and Tronair. Powered by dual AC electric drive motors, the eJP-10 emphasizes Zero Degree Technology for an industry-leading turning capability. Aircraft operators will be able to position aircraft more precisely as the motors individually turn to reduce the space required to maneuver. The eJP-10 is invented to safely and efficiently move general aviation aircraft up to large business class jets. The eJP-10 includes regenerative braking for controlled deceleration. 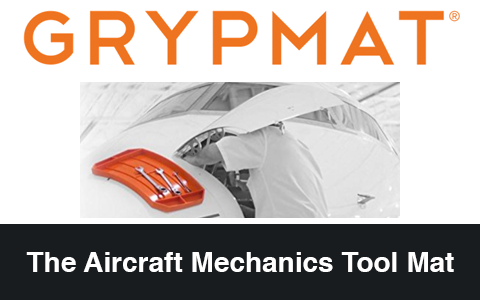 This function stops unnecessarily jolting the aircraft, potentially damaging avionic equipment, and avoids extreme loading on the nose landing gear. High-level control systems combine with integrated sensors providing oversteer protection and an aircraft selection system to limit torque. The vehicle can operate as a sit-down model or enters creep mode when the steering column adjusts to a stand-up position. The automatic parking brake always engages upon stopping to maintain overall safety during operation. CGSE is an authorized distributor for the full line of Eagle aircraft tugs. Along with helping deliver a new Eagle tug for your aircraft operation, we help after delivery. CGSE stocks spare parts along with assisting any support or service requests. Eagle has been manufacturing the industry's most reliable and functional tow tractors for over 45 years and now produces the eJP line of towbarless tractors. Designed and built in the United States, the eJP-10 supported by factory direct service and support along with our internal CGSE service and sales staff. With a diverse product line and the greatest warranty in the industry, we pride ourselves on providing the highest level of quality and customer service. With our partnership with Eagle Tugs, we work as a team to earn our wings without ever leaving the ground. * Calculations assume 2% grade. Severity of Grades and Surface Conditions will affect towing capacities. Your 3 phase input voltage will be required at time of purchasing a new tug. All chargers will come with 8 ft input cord to connect your facility, no plug for your wall outlet, 8 ft output cord to the tug, and standard plug to connect to your new eJP-10. The charger weighs approximately 40 lbs. Pkg. 1 Weight 6600 lbs. Pkg. 1 Dimensions 209 in. x 70 in. x 39 in. We sell parts for the eJP-10 and other items like it at our facility. Not sure exactly what part you need? Just describe it or send us a photo and we will research it for you. We can purchase your used eJP-10 (or similar GSE items like it) and apply it as a credit for new GSE, or buy it outright directly.